Los Angeles (AFP) – Former star athletes who were sexually abused by one-time sports doctor Larry Nassar condemned an “epidemic” of pedophilia in the United States, calling for a “nationwide sweep” and greater accountability. 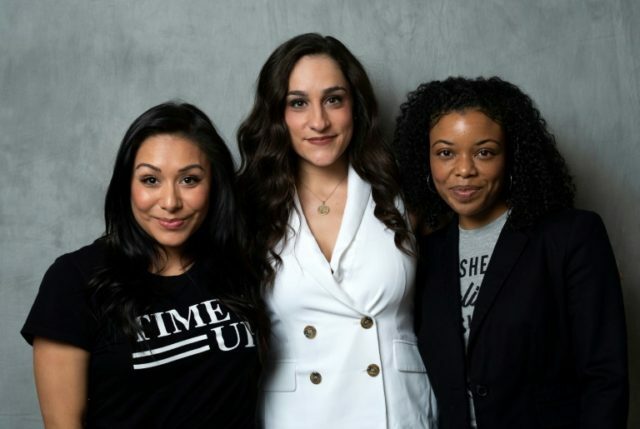 Jeanette Antolin, who was on the US national gymnastics team from 1995-2000, said that one out of every three girls and one out of every five boys will be a victim of sexual abuse before his or her 18th birthday. “The reason why child sexual abuse is such an epidemic is because kids are being silenced,” she said, speaking at the two-day United State of Women Summit in Los Angeles. “To hold accountable those who abused, enabled and looked the other way is crucial,” she added. Tiffany Lopez, a former Michigan State University softball star, wants the school and its sports officials to be held accountable. She reported to her trainer’s Nassar’s abuses as early as 1998, but no action was taken. “Two of the team trainers that I reported to are still on staff at the university,” Lopez said. “There’s coaches out there that abused their girls,” Antolin added, stressing that the problem stretched far beyond Nassar alone, including her own personal coach in the 1980s. Faehn was previously reported to have passed on abuse allegations to Steve Penny, the former USA Gymnastics president who was also accused of ignoring the scandal and resigned from the organization last year. At least 265 female athletes — including several Olympic gold medal-winning gymnasts — have said they were abused by Nassar over a two-decade period, in the guise of medical treatment. The scandal is the biggest in US Olympic history and has had far-reaching ripple effects — ending careers at USA Gymnastics, the Olympic committee and at Michigan State University, where Nassar practiced medicine. Nassar is serving three prison sentences totaling up to 175 years.